Talking about item numbers who can mesmerize the audience with her dance, Manohari song fame Nora Fatehi will definitely tops the list. There are so many netizens who fell in love with her seeing her Instagram dance videos. She is indirectly hinting that the beauty she flaunted beside Prabhas in Manohari song is just a sample and there is so much more in her to show. 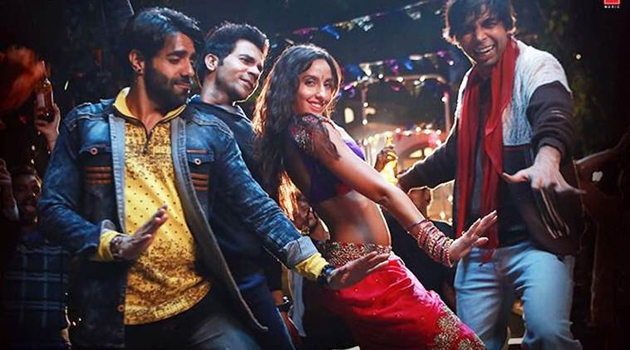 The makers have recently unveiled the item song that goes like 'Kamariya...' in which Nora Fatehi is oozing out the oomph factor. After watching the video the youth will definitely press the replay button just for Nora Fatehi. Earlier, she raised the bars with 'Dilbar..' song and now she is breaking her own records with her latest spicy 'Kamariya' video. Here is the video glimpse of Nora Fatehi which is making the youth go crazy over her. 'Sthree' movie is going to hit the screens worldwide on 31st August. How Mohanlal, KTR & NTR Wished Mahesh?